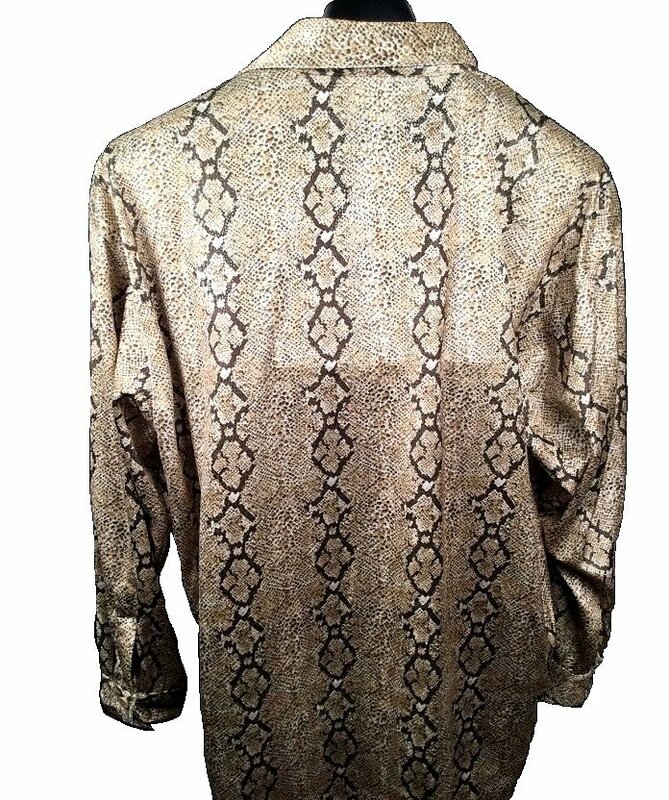 This is a lightweight velvet shirt with a snake print. The washable fabric has a white background with shiny Taupe and Brown spots and Diamond Shapes. The shirt would match cream or medium or dark brown pants. The shirt measures 54" around at armpit level for a 48" - 50" loose chest fit. The shoulder is 25" and the length is 33.5". 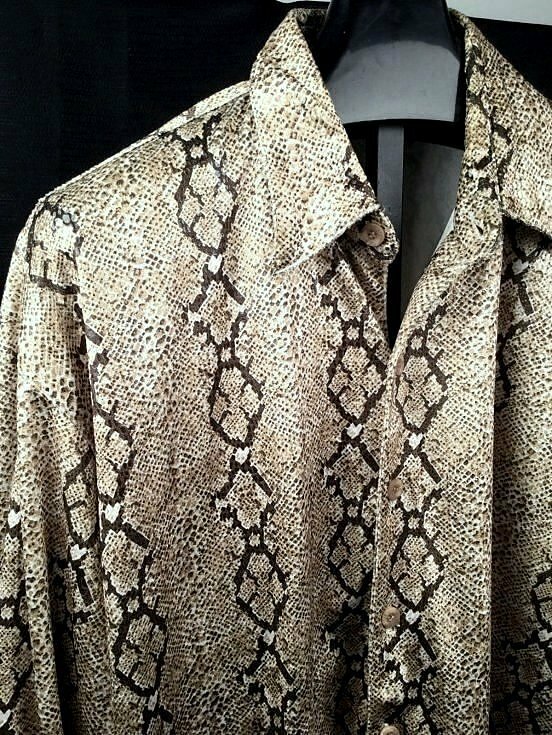 This is a 90s shirt in a 70s or Pimp Style. It is 54" around at armpit for a 50" fit. Shoulder is 25". Length is 35". Machine wash on gentle. Hand dry.